West Side Production Facility & Taproom – Four String Brewing Co.
Our production facility at 660 North Hague avenue is a full-sized modern craft brewing plant. 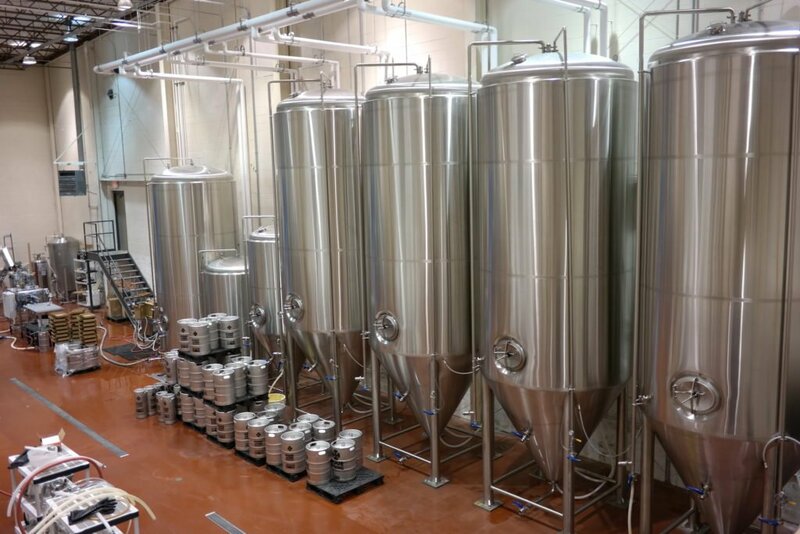 We have a new 30 Barrel three vessel brewhouse, 120 barrel fermenters, modern keg cleaner / filler, Wild Goose can packaging line and a quality control laboratory. This facility is capable of producing over 12,000 barrels of beer per year and is expandable to as much as 50,000 barrels. Free brewery tours are offered on Saturdays from 12pm-4pm on the hour. Enjoy flights, samples, and pints in the taproom, open Wednesday through Sunday, or grab some beer to-go. Want some fresh local beer for your next party? We have kegs to-go and all the supplies you need, including ice, keg taps, and keg buckets. Cask Club- Special Cask tappings at 12pm. Ask your bartender for a Cask Club punch card to earn rewards! FREE Tours- Come visit our Production facility for a free guided tour of our facility! 12pm-4pm on the hour every Saturday! $1.00 off all pints, all day! The Grandview Taproom has limited release beers and special events.